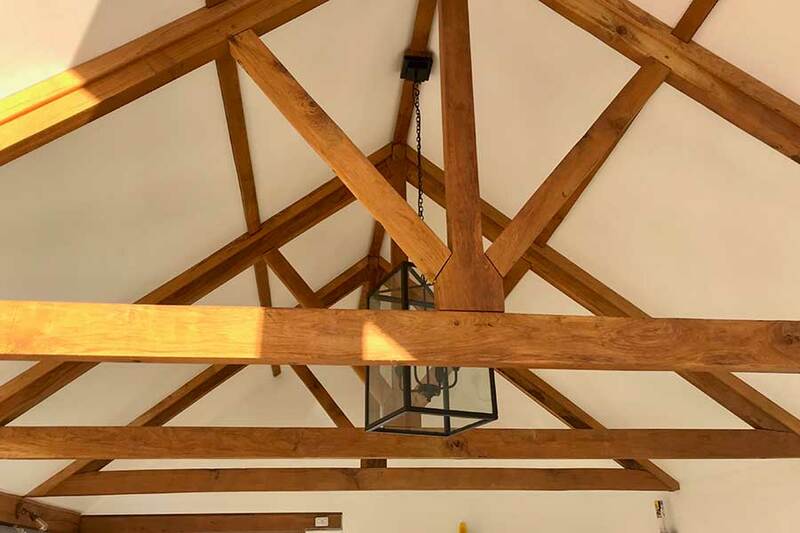 Oak frame and barn conversions have always gone hand in hand. And thats why this garden room sits on the end of this suffolk barn as if its always been there. Maintaining the same roof covering and cladding as used on the rest of the property also helps to bring the main house and the new extension together. 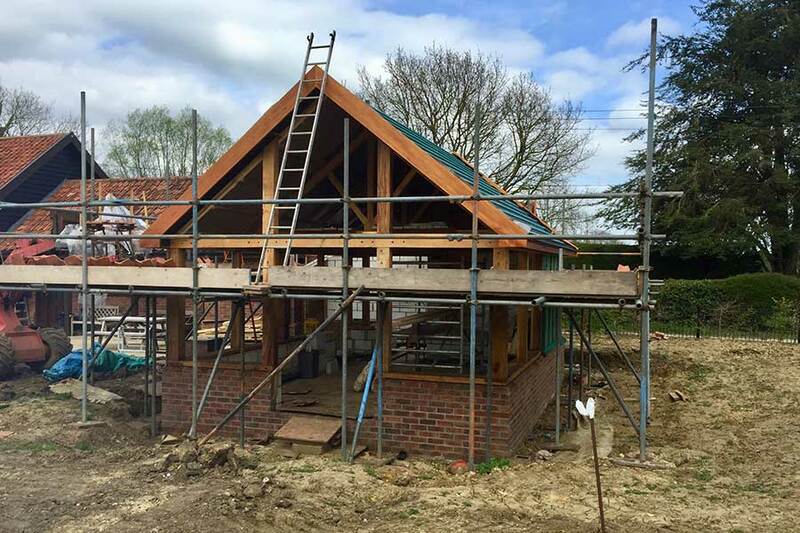 The oak frame and feature trusses were fully prefabricated off site to ensure a perfect fit and a speedy site installation. 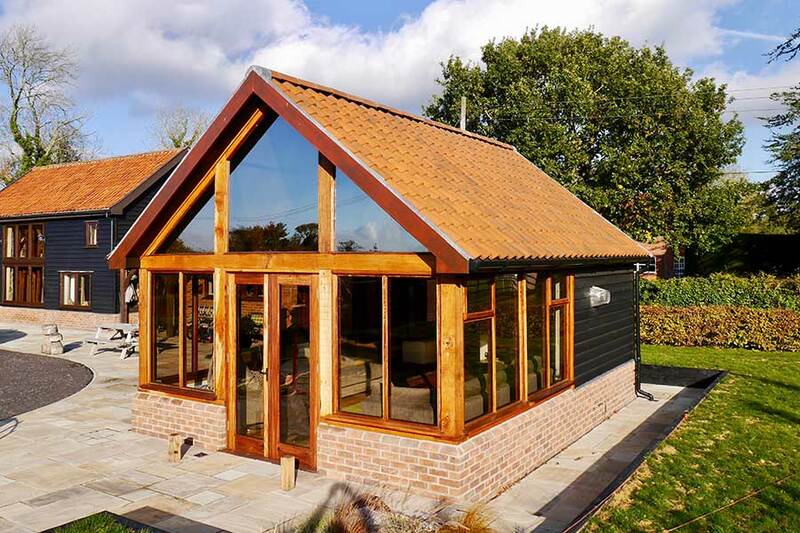 Finished off with solid oak doors and glazing, its a lovely addition to this already carefully converted barn.